Shane van Gisbergen has been buoyed by the construction of the 2018-specification Supercars control tyres following a sweep of the Adelaide 500. Supercars has this year reverted to what are essentially the 2016 versions of the Dunlop slick tyres, which feature a more rounded shape and narrower tread face than the 2017 version. Van Gisbergen suggested that the switch to the squarer rubber played a significant role in his failed title defence. The Kiwi and engineer Grant McPherson were unable to get their heads around an optimal set-up, a problem which van Gisbergen suggested was a contributing factor in a number of tyre failures for car #97. After taking both race wins from as many poles in the first event of the new season, the Red Bull Holden Racing Team driver believes that he is on a sure footing with the reversion to the old-style tyres. However, having noticeably struggled for pace relative to team-mate Jamie Whincup during Sunday’s race, he pointed out that he and McPherson would also have to get a handle on the new ZB Commodore. “Obviously we’ve talked about the tyres a lot but last year we just didn’t understand them, kept making too many mistakes; team and driver of course,” explained van Gisbergen. “I think back on the ’16 tyres, we definitely understand them. “As an engineer (or) driver, there’s the limit; you put too much camber and you go slower, so you know, you race to the tyre. “It’s easier to understand, I think, for us; we definitely feel stronger on this tyre but now we have to learn the car. 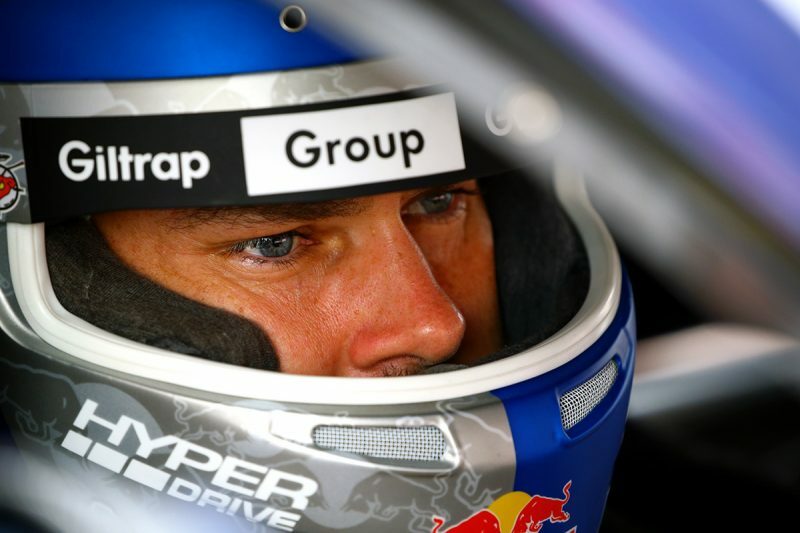 Van Gisbergen also reflected on his hot streak in the City of Churches, where he has qualified fastest in both Top 10 Shootouts and won both races for the last two years. The 28-year-old pointed out that his Sunday race win had not been so straightforward, having gone the wrong way on set-up and then being kept under pressure by David Reynolds after making a surprisingly easy pass. “It’s been a pretty amazing couple of years, four wins in a row and four shootouts in a row; it’s pretty special,” said van Gisbergen. “I’m not sure what it is about this place but I love driving it and I’ve had some pretty awesome cars here over the years, so it’s pretty cool to do that. “Obviously Jamie had the car to beat (on Sunday), we went a bit far with our set-up and we were no good compared to (Saturday). It’s a real shame we couldn’t get a one-two, because he had an awesome car. “I knew it was going to be close with Davey. I pitted a couple laps early, really struggled to get going so that was going to make it even closer. “We had a little moment at Turn 4 (when Reynolds tried to defend his position on cold tyres), I should’ve probably gone to the outside but I had Garth (Tander) right behind me, so I covered.